Extra long necktie that is 3 inches longer than a regular length tie - made for those that have problems tying a normal length tie to the right length. A closer look at this tie reveals a very intricate paisley pattern that is not printed on, but woven into the silk fabric. 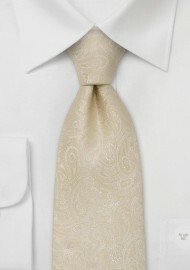 It is one of our more popular wedding neckties. Parsley Luxury Neckwear use a thicker and more luxurious lining in all of their handmade ties. This guarantees that the tie will go back to its original shape and doesn't wrinkle as easily. 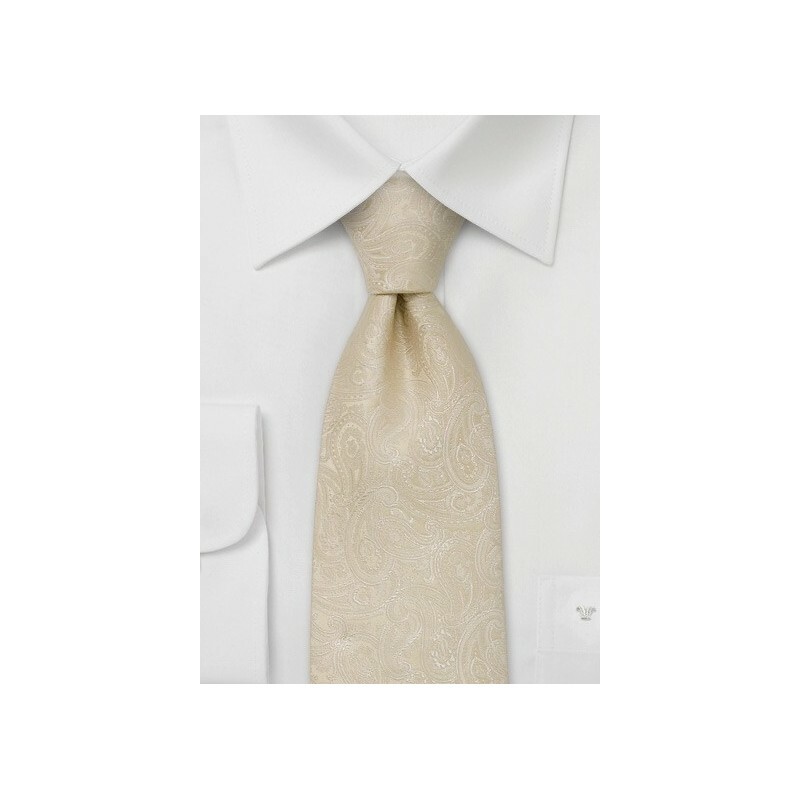 In addition a thicker lining makes the tie slightly heavier guaranteeing a perfect looking tie knot. Handmade necktie from pure silk. Length: 61", Width: 3.25"